I am open to receiving books from publishers, publicists, and authors. Here are a few things to know about me, my reviews, and the types of books I am willing to accept for review. Although I have a PhD in English literature, I don’t get paid to review books; this is something I do in my free time. Usually I have a pile of books I’m looking forward to reading, and that means I’m picky about which books I agree to review. It usually takes about a month for me to read a particular book and post a review. If you’re looking for a review on a particular date, I’ll see if I can oblige; I’m a fast reader, so I can post a review within the week if I’m excited about getting to read something new. Before you send me a review request, please take a few minutes to look at a couple of the most recent posts on Necromancy Never Pays to see what kinds of books I read and what kinds of reviews I usually write. Please note that at present I don’t read electronic review copies. The types of books I most often review are literary fiction, science fiction, and volumes of poetry. http://manybooks.net/titles/bensonr1427514275-8.html A book about how necromancy never pays that you might enjoy when/if you have the time. It’s surprisingly adept and adroit. Thanks; I’ll take a look at it! I think I followed you to here from Jennifer in Australia (not positive); I like the thorough and quirky book reviews. 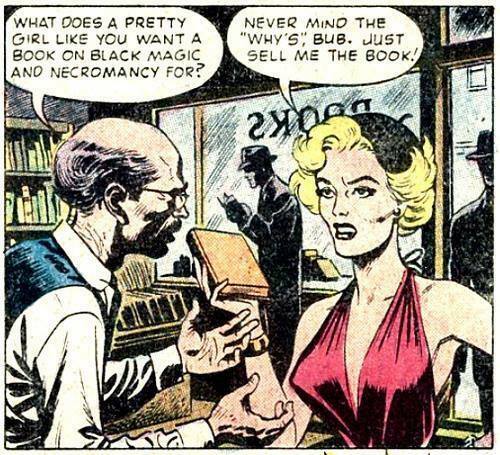 And I would never have thought there’d be that many posts on necromancy – so I’m looking forward to reading a bunch.